Getting your workplace basics right will help your organisation reduce the cost, waste and environmental impact of your workplace. It will help maximise the creativity and productivity of the people who work with you, plus help retain them and attract new talent. Compiled from industry experts across the Sustainable Business Network, The Smart Office Guide provides the latest at-a-glance best practice in sustainable workplace management. Below are some quick tips from the ‘immediate action’ version. Implement them yourself, or actively seek them out in a potential workplace. Building? Leasing? Renting? 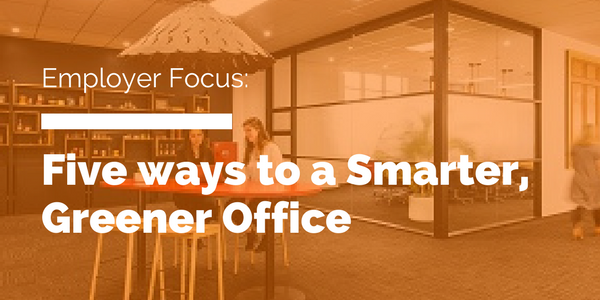 Make smart office considerations an integral part of the decision making. Include them in your contracts where you can. There’s a lot you can demand before you move in that you will not be able to later. Already locked in to a lease? Work closely with the owners to facilitate the things you want to change. Demonstrate that what you want to do will add value to their building. 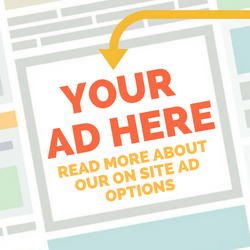 Remember that anything the owners block is likely to add cost to your business. Owner refusing to insulate the rooms properly? You will pay more for power and possibly lose more work time through staff illness. Factor that into your decisions. Does your firm offer company cars and parking, but there’s no public transport or shower? If so you might find yourself and staff are getting unhealthy while sitting in traffic. If you’re looking for a new workplace, check its location in relation to buses, trains, ferries and cycle lanes. The least your building should be doing is keeping the weather on the outside. Heating, ventilation air-conditioning and lighting typically account for about two-thirds of office energy use. They should be professionally tuned. They should be combined with effective insulation to make for a comfortable working environment. If your company’s stationary procurement process is something like ‘send Marsha down to the Warehouse to grab some bits’ hit the panic button. Carefully sourced equipment can radically cut costs and reduce your environmental and social impact. They include shopping around for Forest Stewardship Council, The Programme for the Endorsement of Forest Certification, Carbon Neutral and carboNZero. Reduce, reuse and recycle. Waste from commercial premises is handled separately to domestic waste. So talk to your commercial cleaning company. Ensure your waste is being dealt with responsibly. E-waste like old laptops, cables and monitors can build up. Ensure they are recycled to ISO9001, ISO14001, ECO-Warranty or similar, or ask about whether they have a Basel Permit issued by the Environmental Protection Agency. Better still, ask when buying “What will I do with this at the end of its life?” and see if the supplier has a good answer. 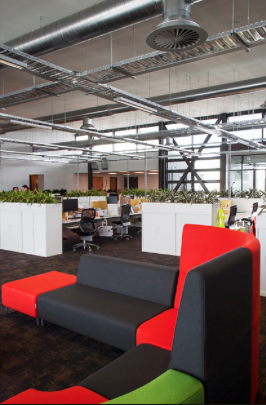 Desk sharing, hot desking and flexible shared work spaces reduce the space and energy required for your office. People naturally work all over the office. They may be in meeting spaces, talking to colleagues, or may be out visiting clients and partners. So up to 80% of most work space is unoccupied at any one time. To make better use of the space, you may need to reduce the expectation of everybody having their own desks. Check out the Sustainable Business Network’s Smart Office Guide for more practical steps and to-do lists that you can begin work on right now. An example of how this has all been done well is Ceres Organics. Four years ago the leading New Zealand organics brand moved into a new 5 Green Star rated building. The building design delivers natural ventilation and daylight, with high windows that release rising heat. 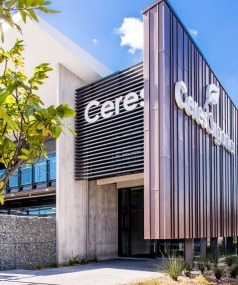 A fully automated building management system monitors lighting, carbon dioxide levels, water and energy usage. Carpet is made from recycled materials and is low in Volatile Organic Compounds, which have been shown to be potentially harmful to health. The layout incorporates lots of plants and a variety of working spaces. There are plenty of standing and open areas, both indoor and outdoor. In the fully equipped staff kitchen you’ll find free organic fruit stands and a soft plastic recycling initiative. Supplementing the new surroundings is a dedicated room for yoga, stretching and staff massages. Therapists come each week to provide free massages. The staff share the site with the inhabitants of five worm bins that recycle organic lunch waste into compost. There are also 12 bee hives that breed queen bees for relocation elsewhere, as well as providing a jar of honey for each staff member at Christmas.